I want show you some pictures of toro taken in [W:Okayama Prefecture]. 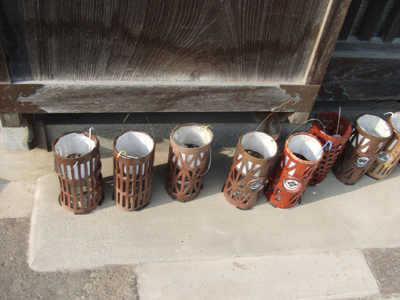 It’s a Japanese lantern consists of wooden frame and paper. 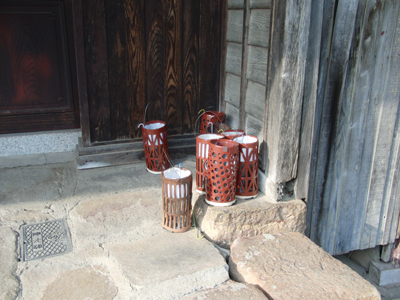 The each kanji character for toro mean “light” and “basket”. 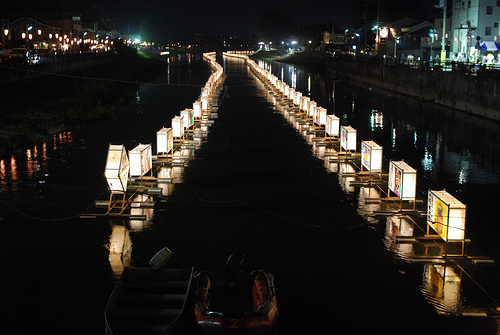 In Japan, we have a traditional ceremony called toro-nagashi which participants float toro down a river. Let’s go back to the topic. These are the toro in Okayama Prefecture. 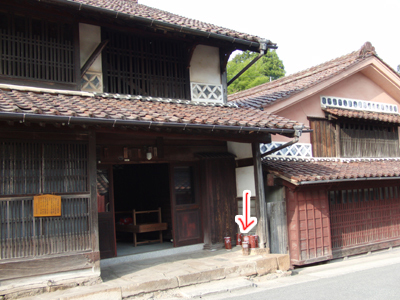 Just like in this picture, toro are everywhere in this town. Let’s look at them closer! There are lots of toro. These are different from the other ones. They are made of plastic (PET) bottles. 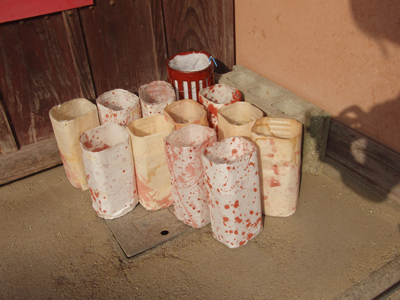 They are wrapped by Japanese washi papers. 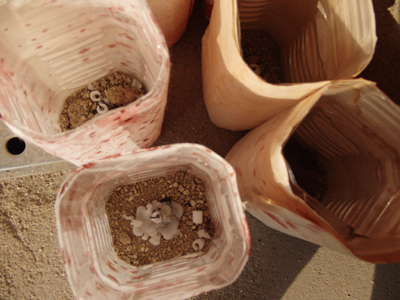 Each one has dirt and a candle inside. You don’t have to buy it because you can make nice “original toro” with a plastic bottle and washi! 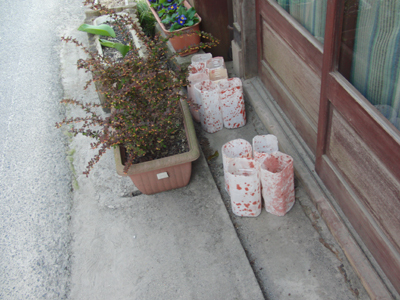 I will post about washi sometime in this blog. If you would like to buy washi, please contact me (^_^).